Around the Office - July 2017 | Rocco & Associates Wealth Management, Inc. This month our country turned 241 years old. Over the years, the United States of America has seen its struggles as well as successes, but much of its core values have been built based on the simple idea of independence. Over the course of the entire month of July, we will be celebrating this fact in our blogs, social media and other communications. But not just the fact that our nation was built on this solid belief, but also how our business shares in this common bond. In this day in age, financial planning services can be accessed through a number of distribution channels. National banks and brokerage houses dot every main street from sea to shining sea and their messages infiltrate just about every communications medium available. Our founder, Joe Rocco, decided however a long time ago to choose a different path. Many investors question the motives, of Wall Street advisors and large banks whose firms are often driven by a third party corporate agenda that dictate meeting sales quotas on proprietary products and predetermined financial solutions. At Rocco & Associates, we work independently, which allows our team to truly put our client’s best interests first and to provide a partner to help navigate your financial future. 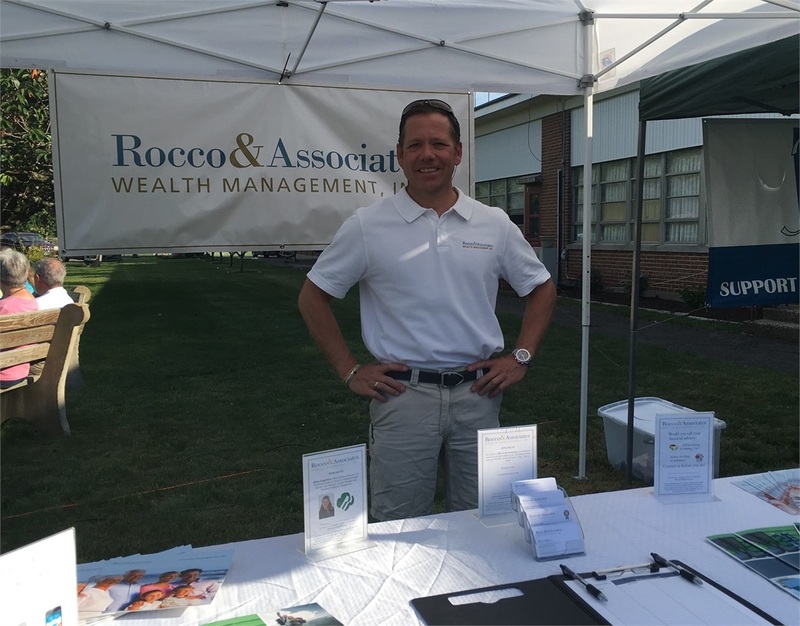 So why we all will celebrate our countries’ independence all month long, let us also not forget the power of working with an independent financial planner like Rocco & Associates! Early last month when Fairfield’s Connecticut Food Bank was in a bind, who did they call? Your team at Rocco & Associates! 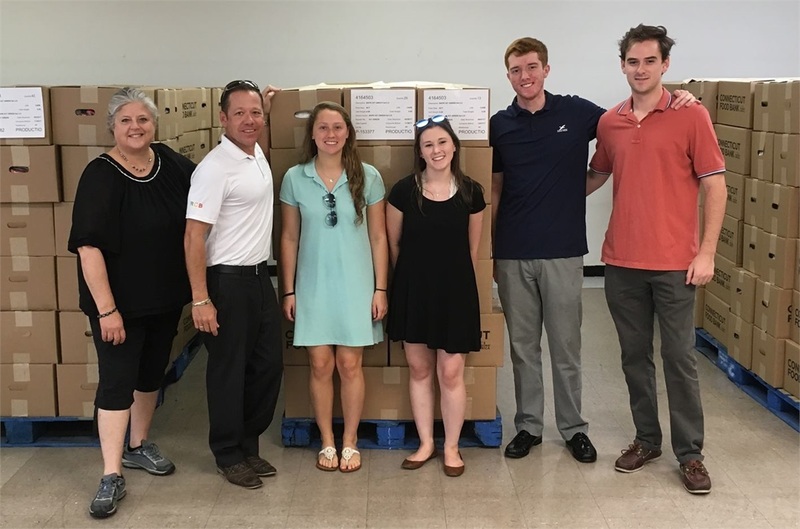 Our firm has been a longtime supporter of the food bank’s initiatives both through monetary donations and volunteer days. One of the larger programs out of the Fairfield location, is the assembly and distribution of lunches as part of the Kid’s Backpack Program. The organization partners with local public school systems, teachers and staff to identify students who are at risk of hunger when they do not have access to school meals. These students are provided with kid-friendly food that is distributed discretely at school at the end of each week, using their own backpack or one given to them. With many schools at year end on different schedules, the organization was in need of one last day of preparation to distribute food to the remaining schools and was short on volunteers. With a full staff of summer interns, the team at Rocco & Associates jumped in to help out and once again got the job done! Our own Eric Johnson is an active board member with the Friends of The Bigelow Center for Senior Activities, the 501 (c) (3) non-profit volunteer organization that drives fund raising and awareness for the Bigelow Senior Center. He and the firm co-sponsored and participated in the first ever concert held at the senior center that featured the town favorite Do Not Resuscitate, “DNR,” made up predominately of local doctors. The Fairfield Park and Recreation Department also assisted with making the event happen. The weather held out and the event was attended by nearly 250 guests, many members of the senior center, but also by local residents and families that live in the neighborhood. Eric was doing double duty representing both the firm as well as the board to help increase awareness of both organizations. Everyone was treated to some good old Rock and Roll while some even took to the patio to show off their moves. Fun was had by all!